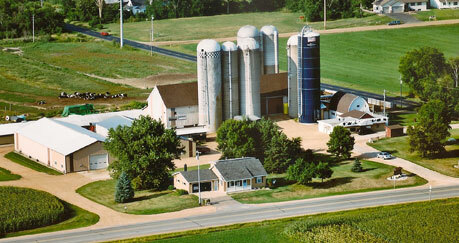 Weber's Farm has been providing the Marshfield community the freshest highest quality dairy products in the area since 1904. 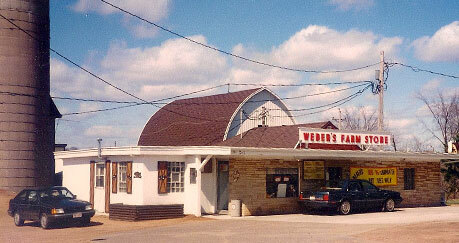 Welcome to Weber’s Farm Store… a 5th generation Wisconsin Century Farm operating on the same site since 1904 when our great grandparents, Peter and Elizabeth Weber purchased the 126-acre dairy farm on the outskirts of Marshfield. 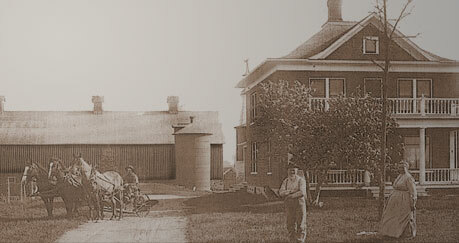 The Weber family immigrated from Germany to America in 1863, and initially settled in a Wisconsin dairy community near Fond du Lac. Peter Weber, our great grandfather, was just 17 years old when he arrived in America. He grew up to be an exceptional dairy farmer and entrepreneur, and moved to Lincoln Township near Marshfield in 1904 to extend his dairy experiences. 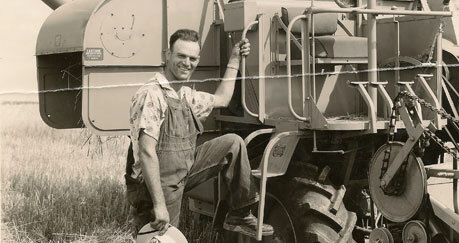 He is the founder of the Weber Farm that is still an important part of our family today. We have a long history of selling and delivering milk from the Weber Farm, when Peter and his wife Elizabeth began the first milk delivery route in 1910's. 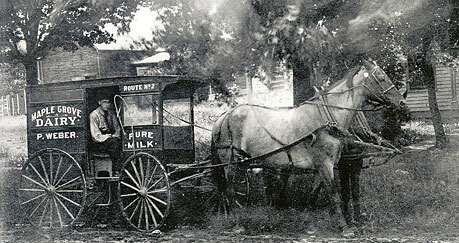 Called the Maple Grove Dairy, Peter and his son John delivered raw milk and cream to area customers by horse and wagon. 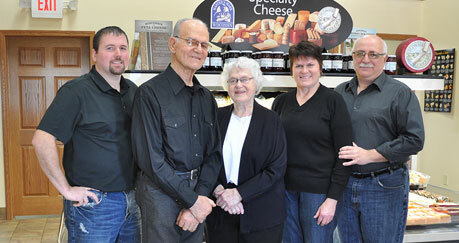 In the 1920’s grandfather John Peter Weber and his wife Margaret purchased the Weber Farm from his parents and built it into one of the most modern and best equipped dairies in the area. 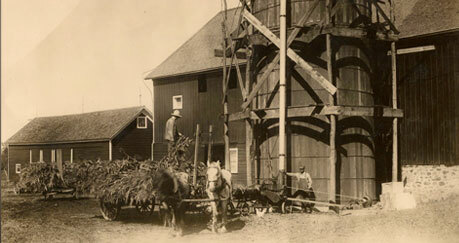 In 1929 they again expanded the Weber dairy farming business with a retail business, returning to a door-to-door milk route to around 100 customers in the city of Marshfield. Their five children, including Joseph, worked the delivery route, and that service continued as a family venture until 1945. 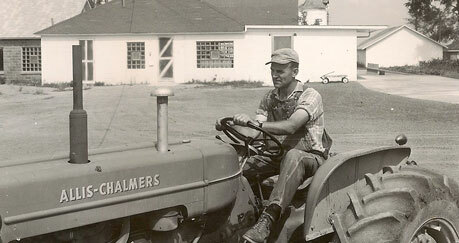 In 1951, Joseph Weber and his wife, Bernadine, purchased the Weber Farm from his parents. 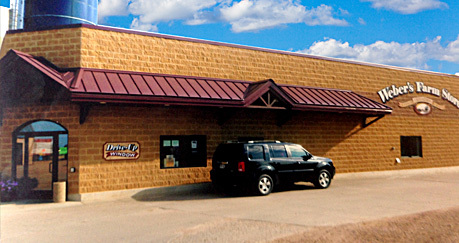 It was their dream to build a dairy retail business that would always provide the freshest milk products in the area and that goal is still upheld to this day. 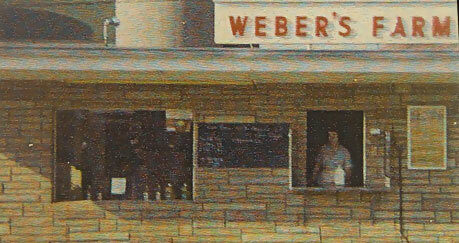 The Weber’s Farm Store was opened in 1955 as a retail outlet located on the farm site. 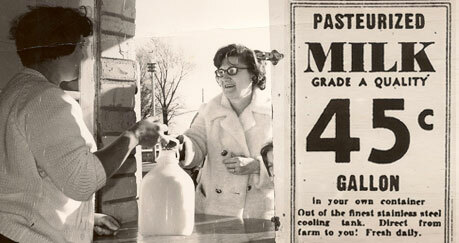 Customers would bring their own containers to be filled with pasteurized whole milk, but in 1959 State law changed and milk could no longer be sold in bulk and needed to be bottled. 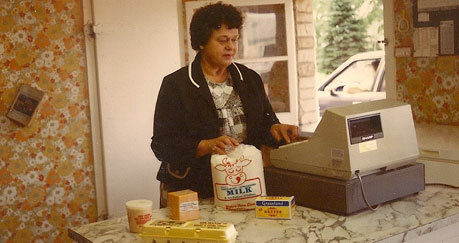 The Weber family began bottling the milk in glass bottles at the retail store, and it also opened a drive-up window for more convenient customer service. As with past generations, most of the work was handled by the family including the five children – Carol, Pat, Joellen, Joel and David. 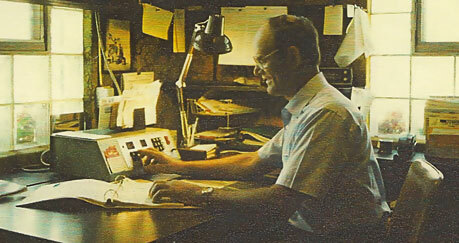 In the 1970’s the farmstead became a family corporation with the 4th generation of Weber’s owning the dairy business and Weber’s farm began to package their milk in pouches rather than bottles. For six decades this has been the place where area residents can come to get the freshest milk possible and also see where and how the milk is produced by well cared for, healthy Holsteins. 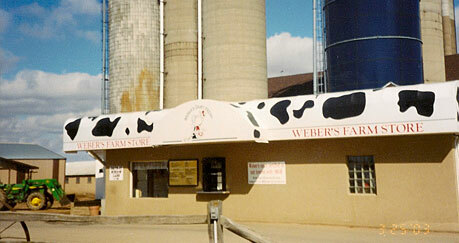 Our “happy cow” character is a recognizable reminder that the Weber’s Farm Store is a friendly, affordable place to buy the highest quality dairy products available in the area.